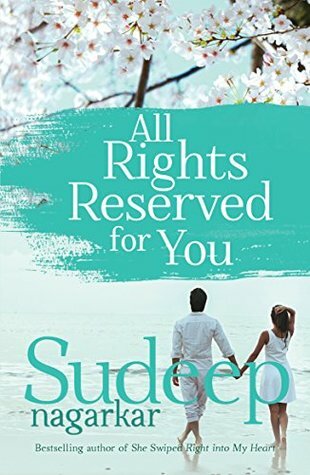 Another book by Sudeep Nagarkar, well this book is based on authors real-life love story. The story whirl around Aditya and Jasmine's long-distance relationship. Aditya is a writer whereas Jasmine is not much into reading. They have nothing familiar - Aditya, a Marathi guy living in Mumbai and Jasmine comes from a Punjabi family from Delhi. It was all started with a friend request on Facebook. How will they become friends their late night chats, endless gossips and the way they met for the first time. Every relationship requires effort but a long distance relationship requires extra effort. There is love, fight, friendship, broken dreams, disappointments, betrayal, and many more feelings. One can easily relate with Aditya or Jasmine or with their friends who support them even though they grapple with their own set of problems. They have insecurities but the way they overcome is well written. How a family can affect their relationship or when they want each other but unable to reach; having a conversation through Skype, Whatsapp and Facebook messenger become their daily routine and sometimes when you can't see the expression of someone it leads to misunderstanding and then an endless fight is the main plot. A misfortune happens to Aditya and his hopes of recovery began to diminish. Negative thoughts started clouding his judgment and he started to believe that Jasmine deserved someone better than him. But the way Jasmine encouraged him and shows confidence in him made him realize that forever is not a lie and their love is strong enough to overcome any and all wrangle was my favorite part from this book. The struggle of life and the battles to freely express ourselves had changed us all and the same thing happened to the characters of this book. This story is not less than a Bollywood movie but one can easily relate to the storyline. If you want to read a tender love story with a happy ending then this book is certainly for you.